� 1974-1979 - Trained by Reverend T'Sai Ho Peng, (Buddhist Taoist Priest) in the art of Chuan-Shu Kung Fu, Taijiquan Qi-gong and other Taoist Healing Exercises. � 1982-1988 - Trained by Lama Sevang Miguar Norbu and Sifu Lazarus Mascarenhas in the art of Hua-Chuan Kung Fu, Taijiquan and Qi-gong. � 1989-1990 - Certified from Wu Ji-Jing Research Association Shanghai, China in the arts of Taijiquan, Qi-gong, Meditation and other Chinese Healing Exercises. � 1995 - Certified from Joshua Martial Arts Academy, Qubec Canada in simplified Taijiquan forms, Ba-Duan Jin and Qi-gong Exercises. � Ex-Personal fitness Instructor to Royal Oman Guards in the Sultanate of Oman. � Ex-Vice President and Asst. 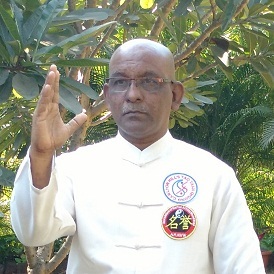 Chief Instructor of Universal Martial Arts Research Centre (India) from 1988 - 1995. � Ex-Instructor of Taijiquan and Qi-gong for National School of Combat Arts (India). � Yudansha Kobujitsu Karate-Do Federation (India). � Dignity Foundation (Organization for the Welfare of Senior Citizens.) Branches-Grant Rd, Chembur, Dadar, Mira Road. � Harmony Interactive Centre (A Dhirubhai Ambani Memorial Trust Initiative for Senior Citizens.) Girgaum. � Yantra, Oceana, Marine Drive. � Rupasee Fitness Centre, Girgaum. � Raje Shivaji Vidya Sankul, Dadar. � Rotary Club Bombay Peninsula, Churchgate. � Rotary Club Bombay Bay, Kemps Corner. � Women's Graduates Union, Colaba. � Mumbai Association of Indian Federation of University of Women's Association, Colaba. � Indian Women's Scientists Association, Vashi. � Yantra, The Mystic Fair, Marine Drive. � Jade Fire Light (Chanelling Group), Worli. � Young Women's Christian Association, Colaba. � Energee Fitness Studio, Mulund. � Dignity Foundation for Senior Citizens. Branches-Grant Rd, Chembur, Dadar, Mira Rd. � Harmony Interactive Centre for Senior Citizens, Girgaum. � Kala Vidya Sankul, Opera House. � National School of Combat Arts, Bharda High School, C.S.T. � Yudansha Kobujitsu Karate-do Federation. Branches- Dadar Parsi Colony and Pali Hill,Bandra. � Yuj , The Studio, Worli. � Asian Academy of Tai Chi, Juhu. � Special Consultant for a program on Tai Chi for Care TV. Author of Tai Chi Chuan, 8 Jewels Exercise recognized by Martial Arts Clubs and Fitness Organizations. Carrying out research in causes of various Diseases and their cures through Taijiquan, Qi-gong and Healing Exercises and also writing a book on the same. Certified REIKI GRAND MASTER and KARUNA REIKI MASTER with special interests in YOGA, PYRAMIDOLOGY, SUJOK THERAPY, FIVE TIBETEAN RITES and other Healing Exercises. 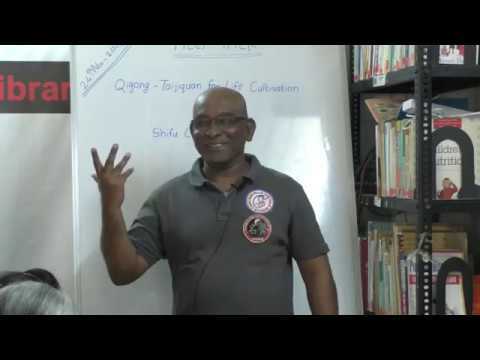 Sifu CARLTON HILL is also a Taijiquan & Qi-gong Researcher, Self Defence Consultant, Meditation Designer, Spiritual Life Coach, Spiritual Researcher, Healing Energy Researcher, Paranormal Activity Researcher, Visionary and Philosopher.